What caused Danielle Cogswell to die? 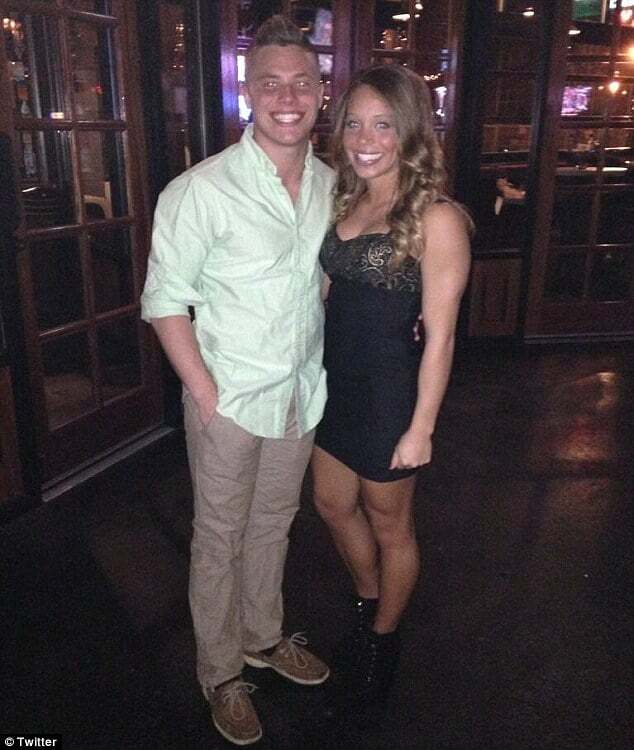 Danielle Cogswell a 22 year old Louisville cheerleader was yesterday morning found dead in what officials deem mysterious circumstances. 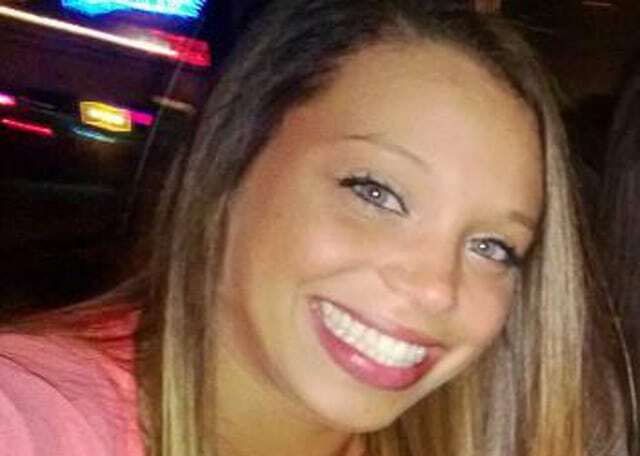 At the time of the University of Louisville student’s death, the Louisville cheerleader came to be found in an off campus housing complex, in Cardinal Towne. 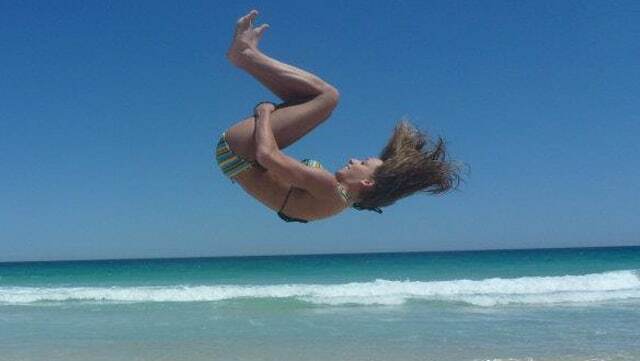 Cheerleader Danielle Cogswell drug overdose. Found in football freshman drug dealer’s apartment. 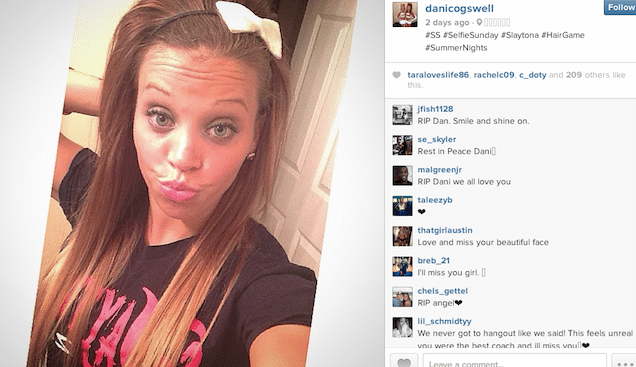 Double life: Danielle Cogswell Louisville cheerleader died of a heroin overdose. 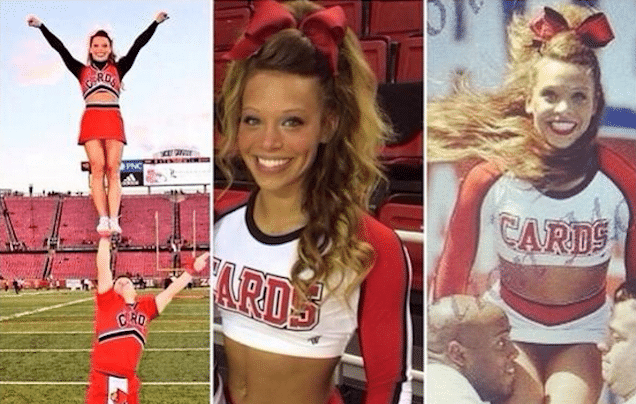 Danielle Cogswell Louisville cheerleader drug overdose? Was she living a double life? 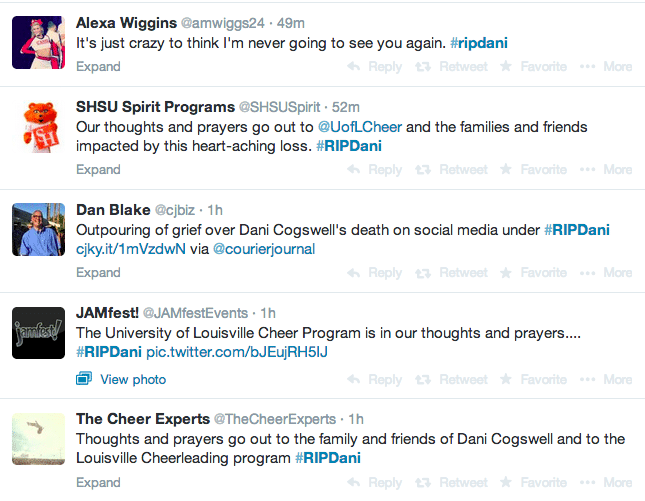 Reports would tell that Dani Cogswell (as she was also known) was a transfer student from Washington state and had been on the cheer squad at the University of Kentucky for a year. Yet despite the mysterious circumstances of the girl’s death, police told there were no signs of foul play at the apartment in which she was found. According to King5 News, the apartment where her body was found was Cogswell’s. Louisville Metro Police spokesman Dwight Mitchell said the homicide department is handling the case, with investigators now awaiting autopsy and toxicology results. As the scant details of Cogswell’s death are revealed, an outpouring of love and disbelief has flooded social media. 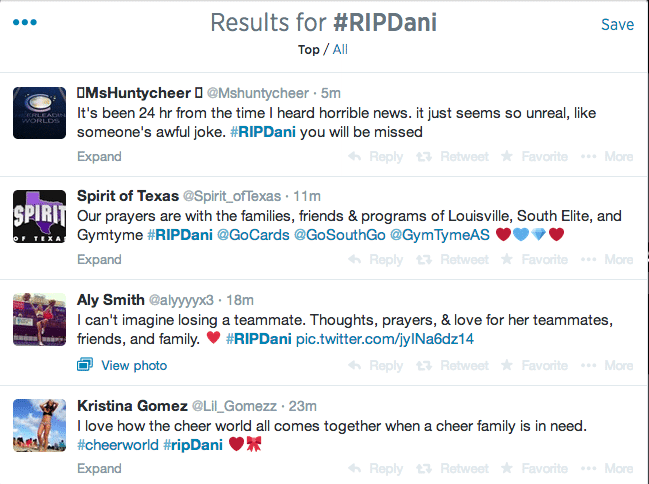 Using the hashtag #RIPDani, countless friends, teammates and acquaintances have expressed their sorrow at her death. ‘Heart is heavy.’ he wrote a short time later. ‘My other half is gone. 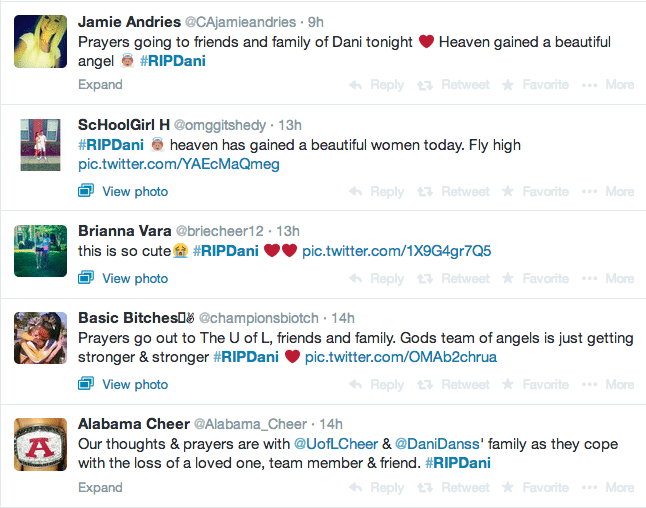 I know she will be watching over me,’ wrote Daria Daspin. The university was unable to confirm any further details surrounding Cogswell’s death. 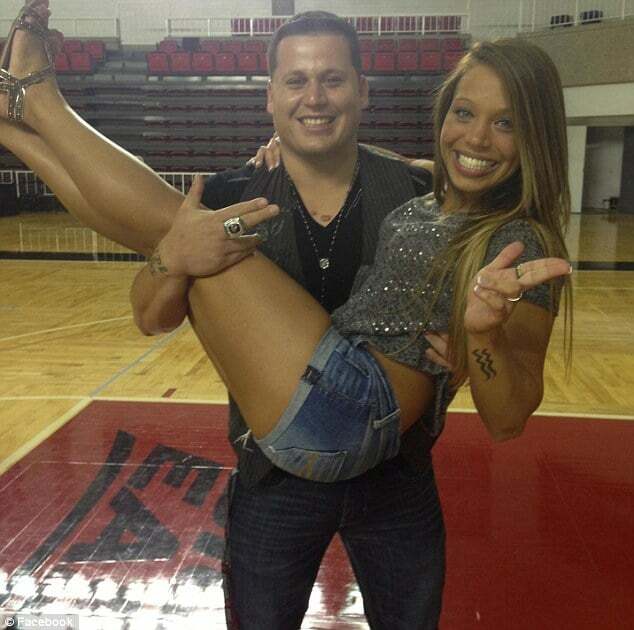 ‘The University of Louisville spirit program is devastated to lose one of our beautiful and talented team members,’ spirit coach Todd Sharp said in a statement. can’t believe some of these dumbass posts,didn’t they read how she died?